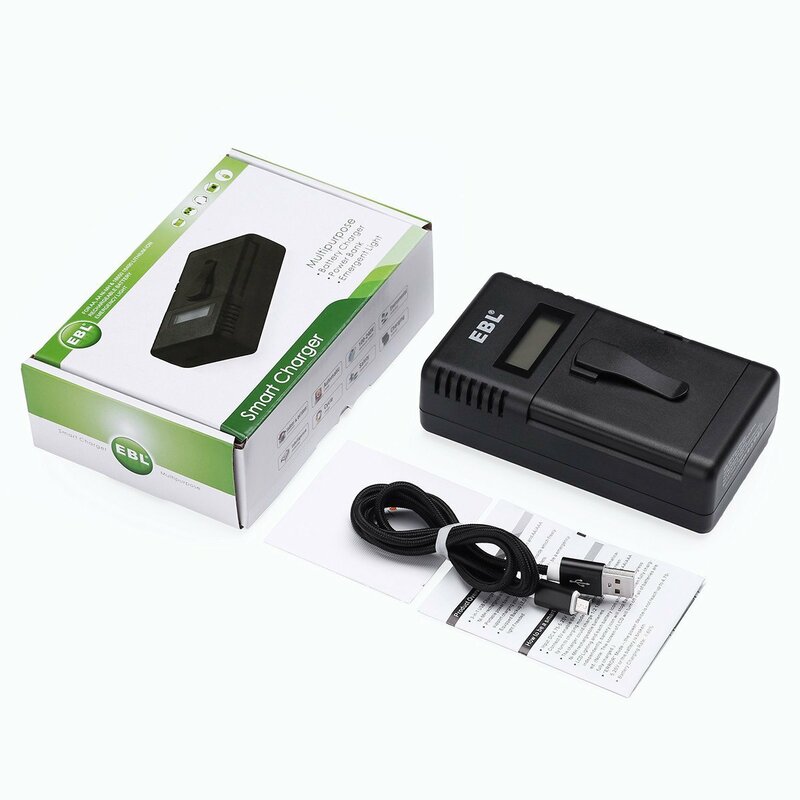 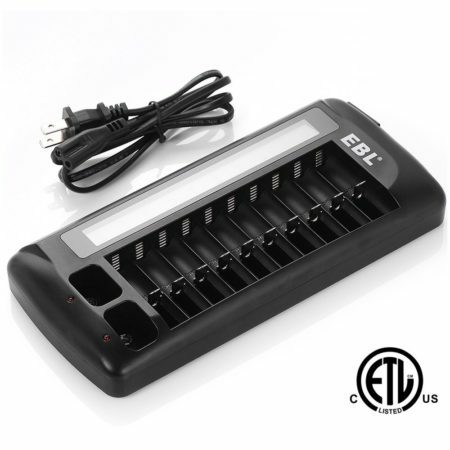 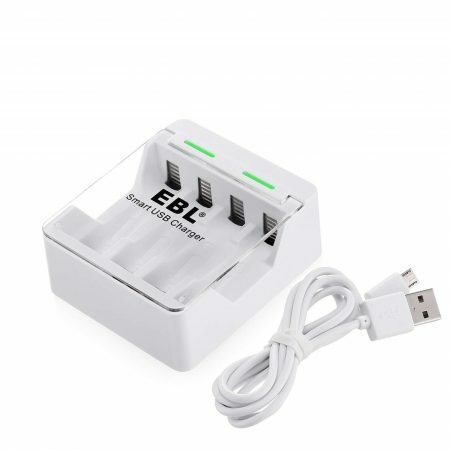 This EBL intelligent battery charger can charge 18650 14500 16340 18500 AA Rechargeable Batteries. 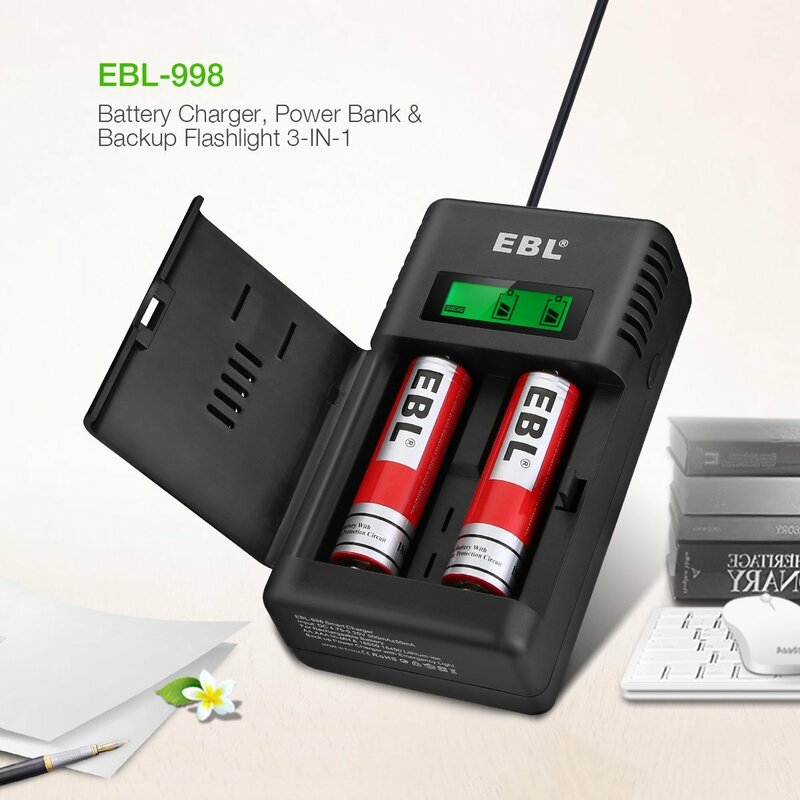 This multifunctional charger can be used as an emergency power bank when it’s powered by 2-count 18650 batteries. 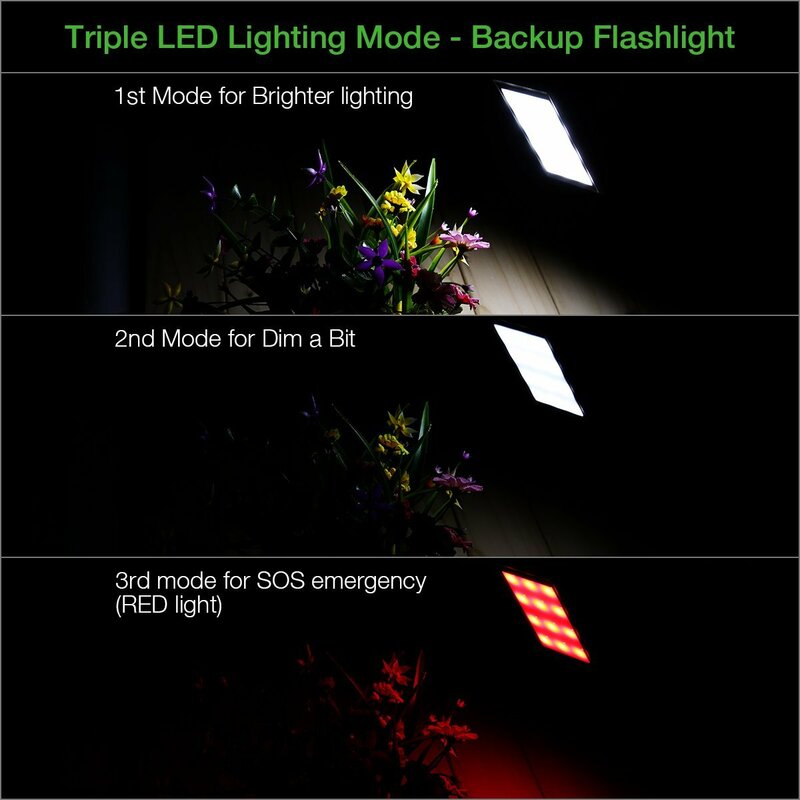 The battery charger has smart LED flashlight function with 3 flashlight modes, High, Low and SOS modes. 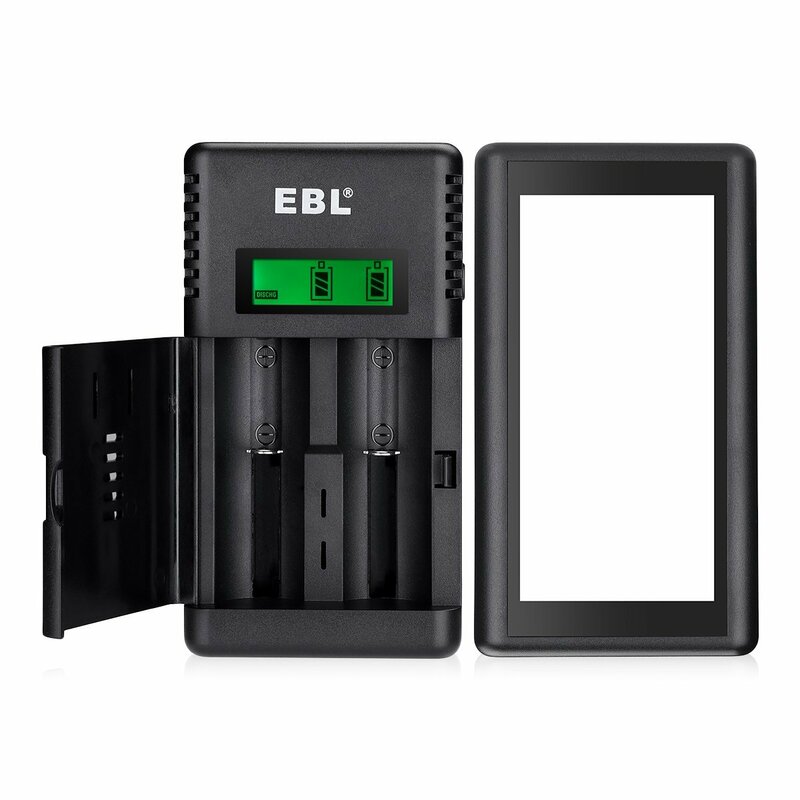 This functional battery charger has perfect protection against overload, over discharge, over voltage, over current and short-circuit. 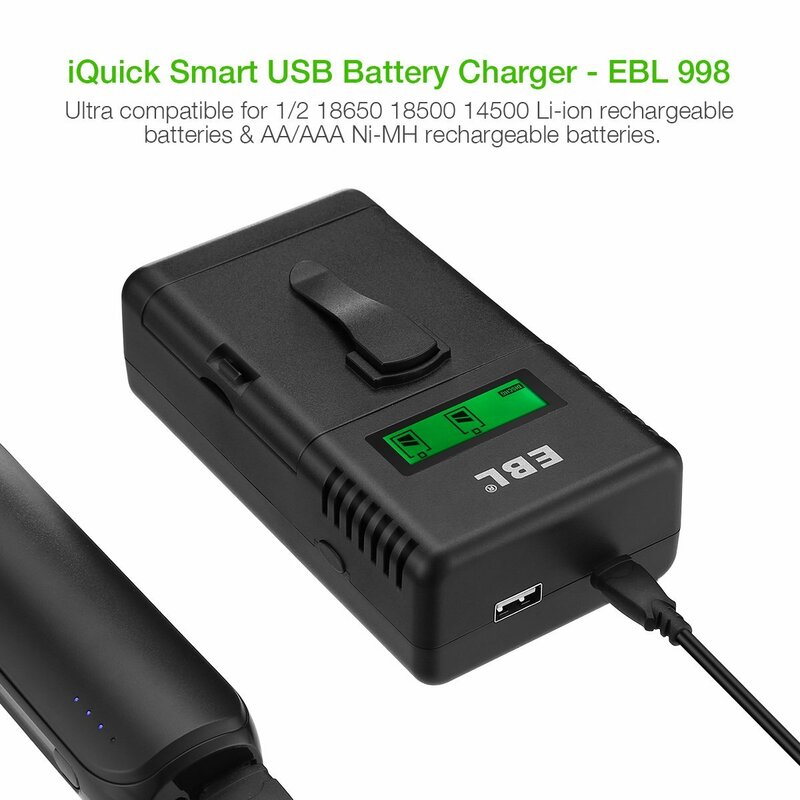 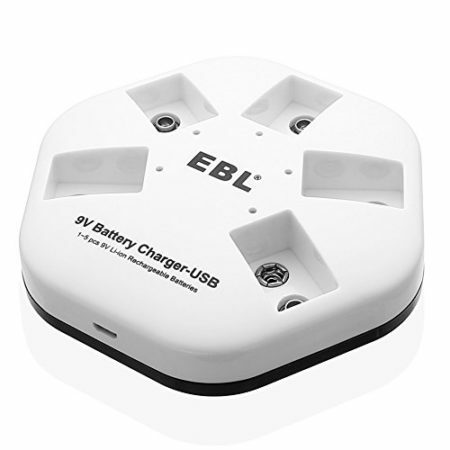 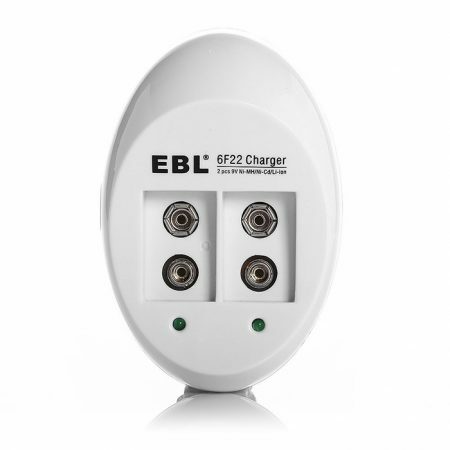 EBL 998 battery charger comes with a Micro USB cable for convenience. This EBL 998 functional battery charger is fully compatible with 1 or 2 pieces of 18650/18490 4.2V Li-ion and AA 1.5V Ni-MH Rechargeable Batteries. 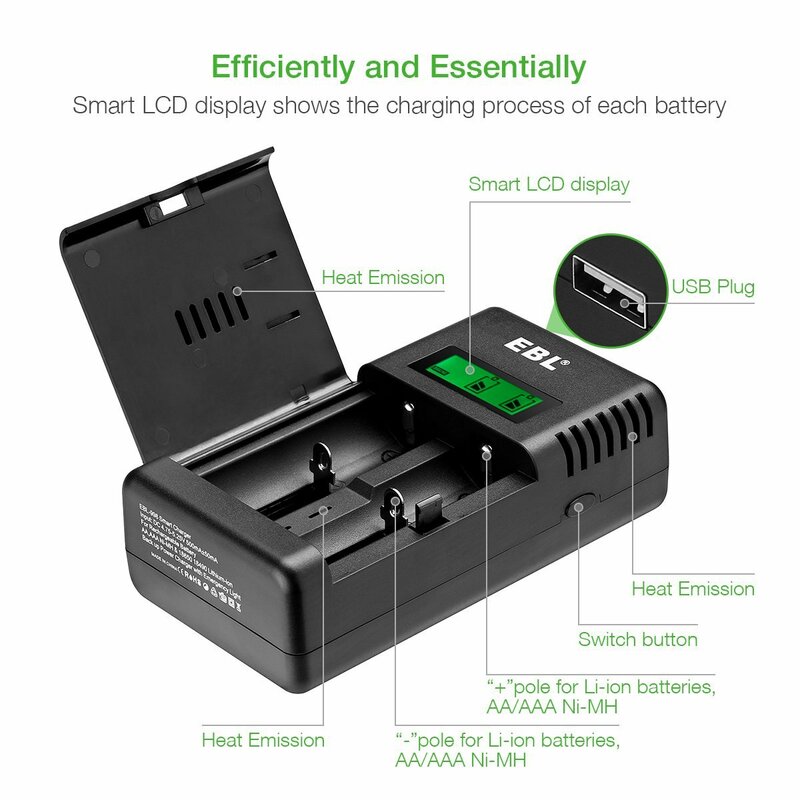 The battery charger has untra clear LCD dispaly to show the charging process for batteries. 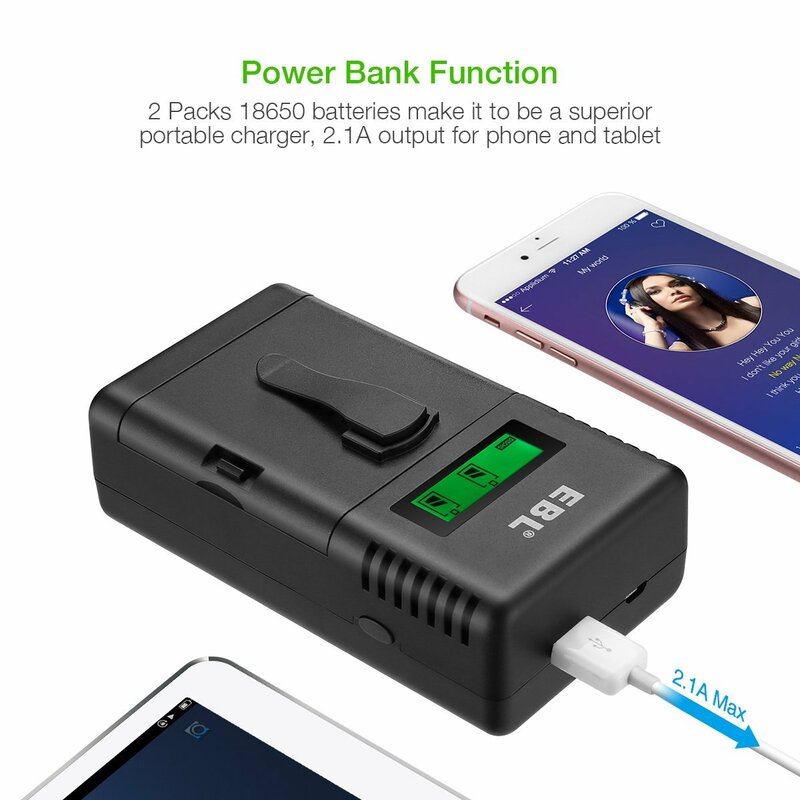 Powered by 2 pieces of 18650 rechargeable batteries, this battery charger can be used as a flashlight and also a backup power bank.